Become a part of the team that shapes the future of programming! Pink Programming is looking for members for next year’s board. Pink Programming is an organization committed to improving the inclusion of women and transgenders in the technology field. 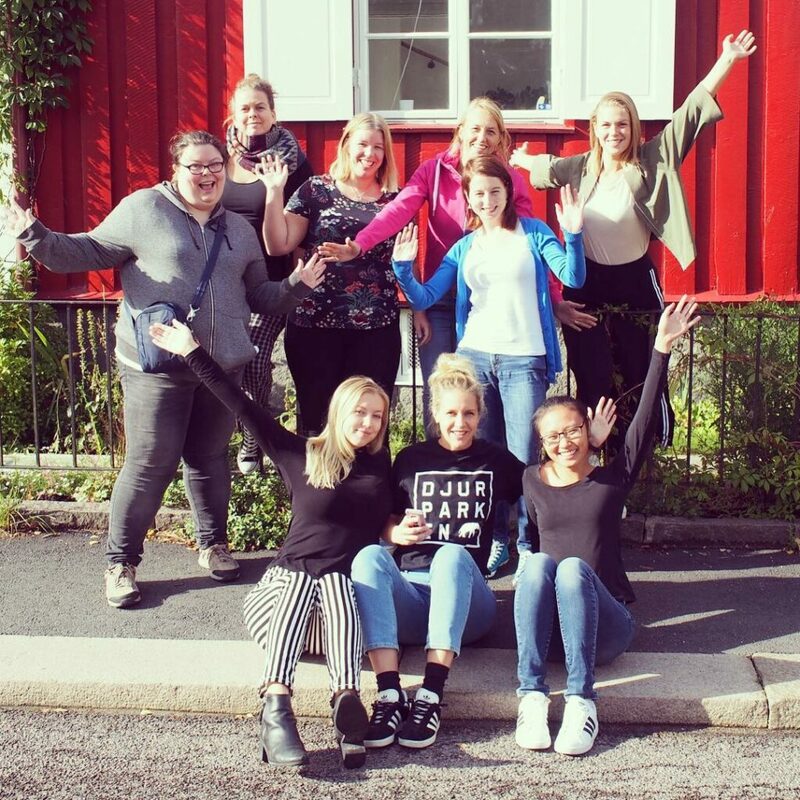 Our volunteers lead workshops and events across different regions in Sweden and in Oslo, Norway. Our members are driven by the joy and meaningfulness of what we do, and the sharing of knowledge and encouragement is what keeps our gears running. The passion for making awesome things happen is our common ground. We are now looking for new, like-minded individuals who wish to be a part of the team that leads this amazing journey. The Pink Programming Board of Members lays out the plans and strategic decisions of the organization, for example regarding sponsoring, organizing events, and proposing new ways that will help fulfilling our vision. Our operational work is led by a Managing Director, and a board auditor inspects decisions and actions. Being a board member is a non-paid assignment that requires an effort of approximately 3-5 hours per week. During intense periods, more time may be necessary. Since Pink Programming is a volunteer initiative, there is always an understanding that life happens and commitments may need to be re-prioritized. However, in order to ensure the quality and organization of the work, board members are expected to pour enough time and effort into their respective responsibilities. In addition to monthly Skype meetings and frequent discussions over our chat program, the board meets physically 3-4 times per year, and the annual meeting is held over a weekend in the beginning of the year. Pink Programming’s members proudly represent different backgrounds of culture, ethnicity, age, professional experience and education, and we strive to make the board representative of the organization’s diverse members. Experience in the IT/software fields, non-profit organizations, or board work is appreciated but not required. Applicants need to have a good understanding of verbal and written Swedish, but fluency in speaking or writing is not required. Our goal is to achieve a balanced board of members, in which we can practically execute our plans while maintaining innovation in shaping our long-term strategies to fulfil our vision. Applications for positions in Pink Programming’s Board of Members are now officially open. Our application forms can be filled out and sent in the links below, which also contains more specific details about the different roles that we look for in the board. Please apply before February 3rd, 2019. The election takes place at the annual meeting on March 2nd – 3rd. ← Programmering + skiing = PinkAndroid Camp 2018!